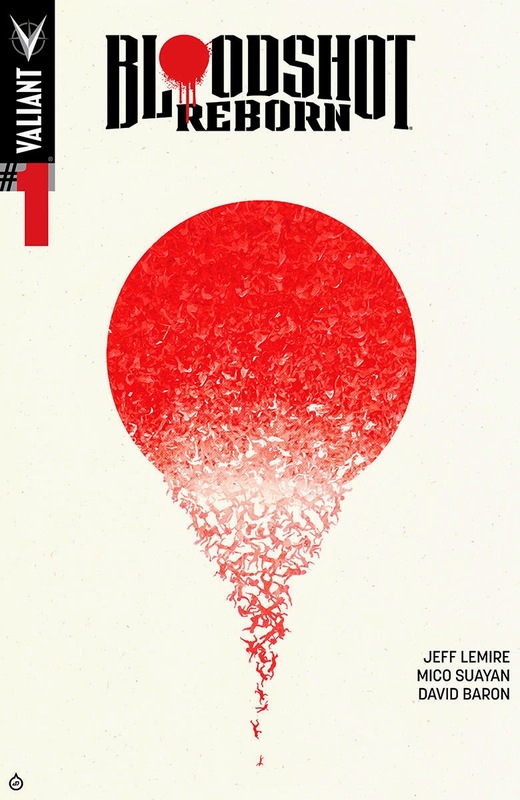 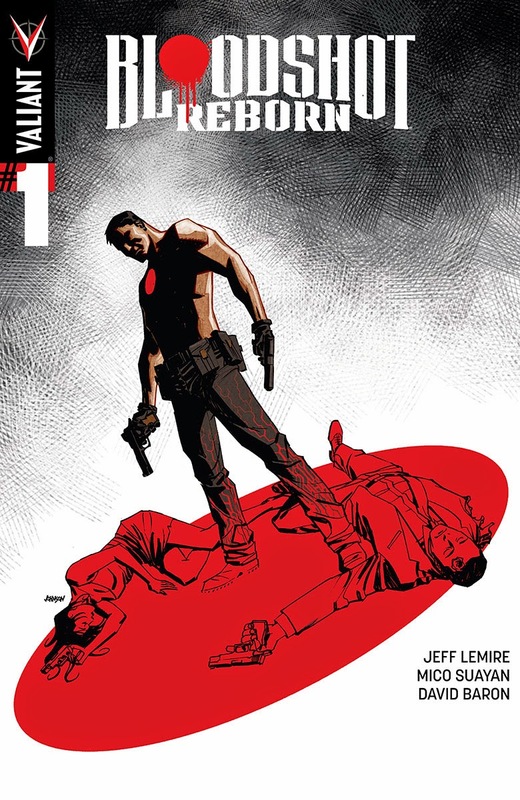 From New York Times best-selling writer Jeff Lemire (THE VALIANT, Green Arrow) and red-hot rising star Mico Suayan (HARBINGER, Moon Knight), VALIANT NEXT delivers an all-new ongoing series for Valiant’s most unrelenting hero! 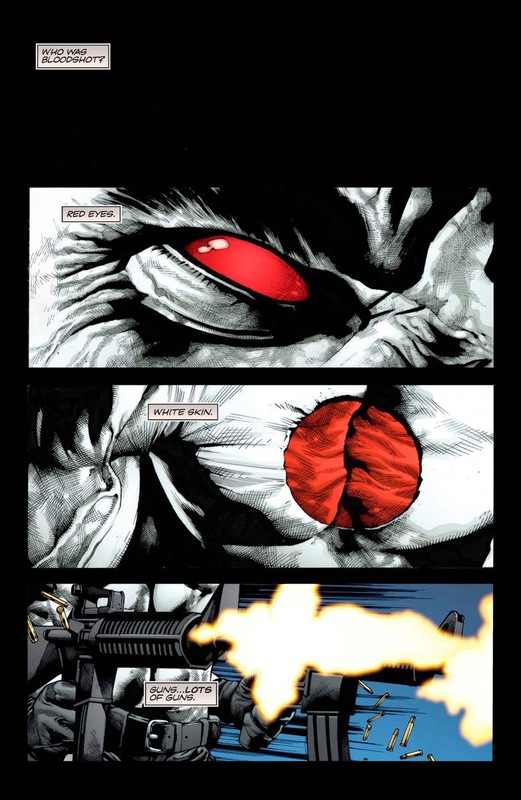 Bloodshot’s nanites made him a nearly unstoppable killing machine. 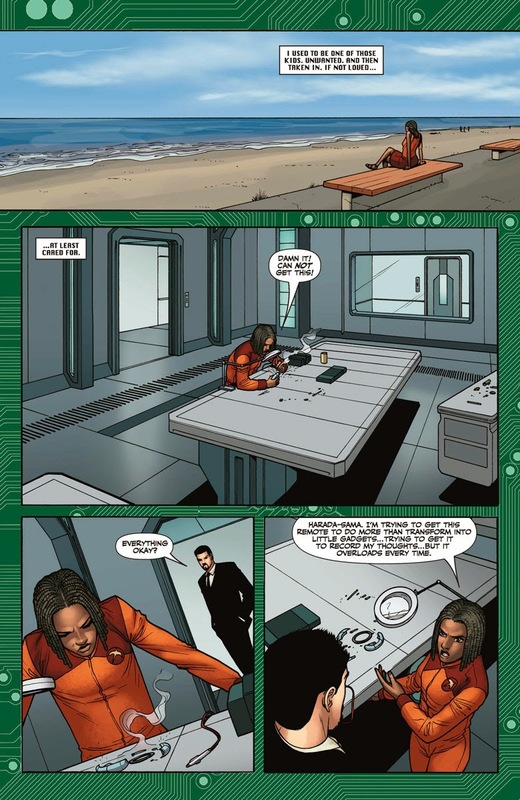 His enhanced strength, speed, endurance, and healing made him the perfect weapon, and he served his masters at Project Rising Spirit – a private contractor trafficking in violence – very well. 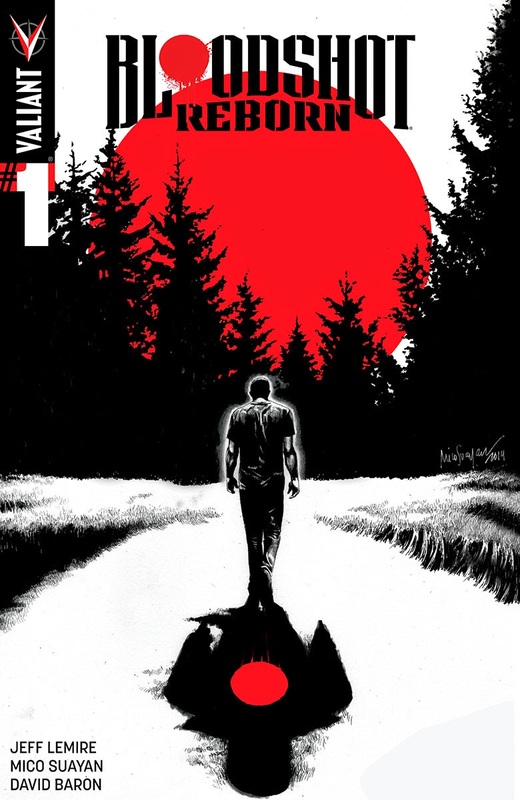 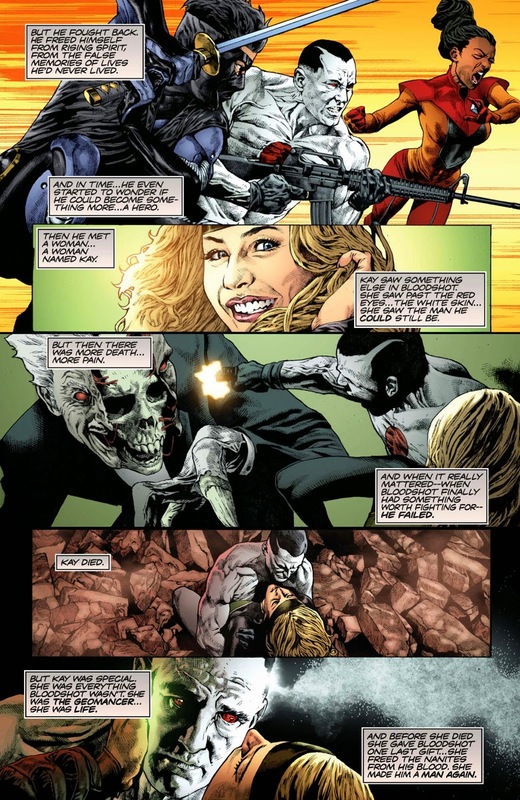 Now, Bloodshot is a shadow of his former self. 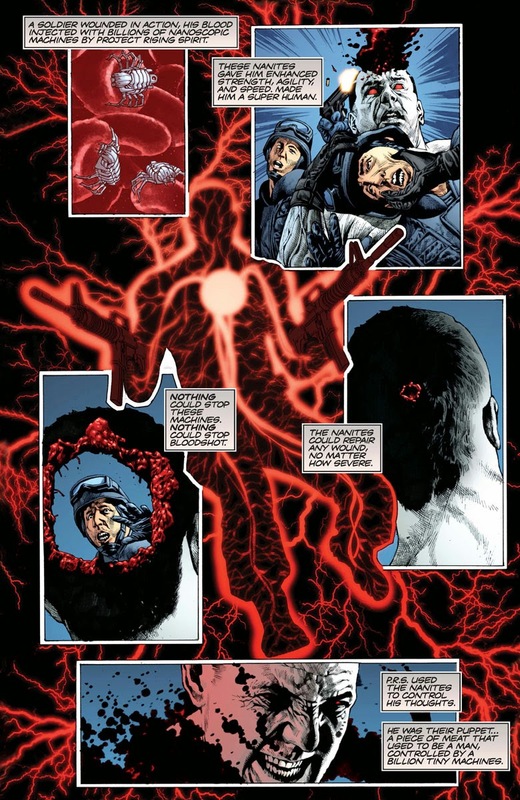 He lives in self-imposed exile, reeling from the consequences of his past life and the recent events that nearly drove him mad. 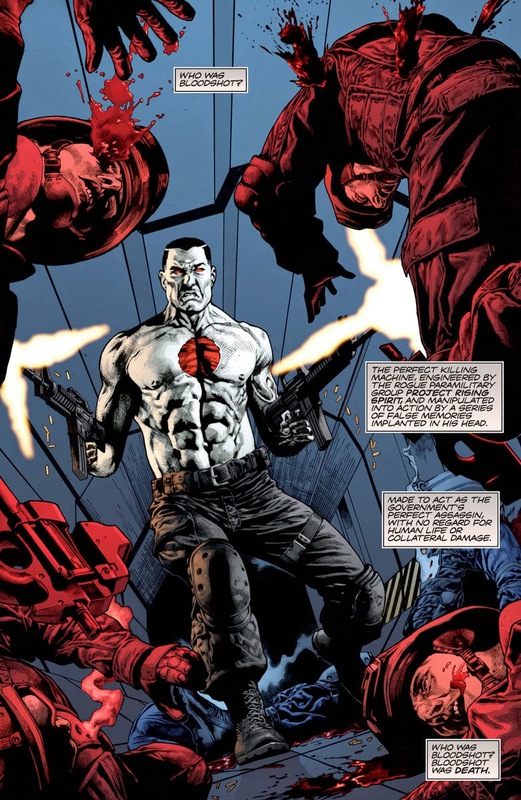 But when a rash of shootings by gunmen who appear to look just like Bloodshot begin, his guilt will send him on a mission to stop the killers, even if it means diving headlong into the violence that nearly destroyed him. 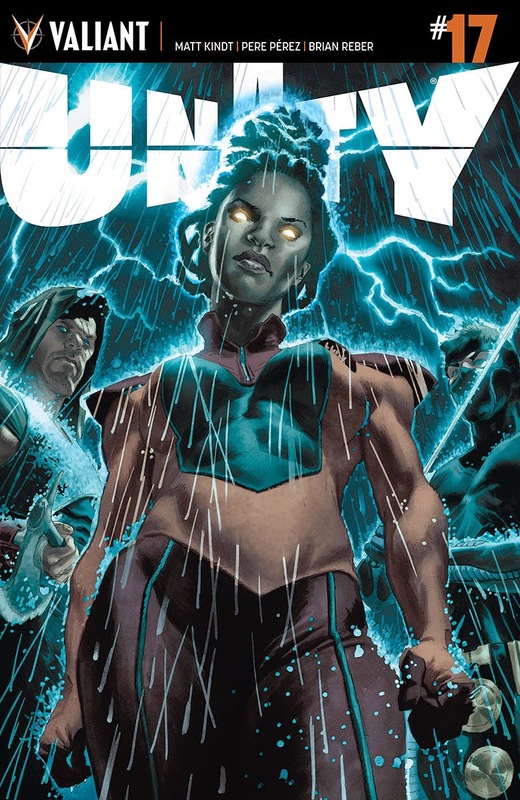 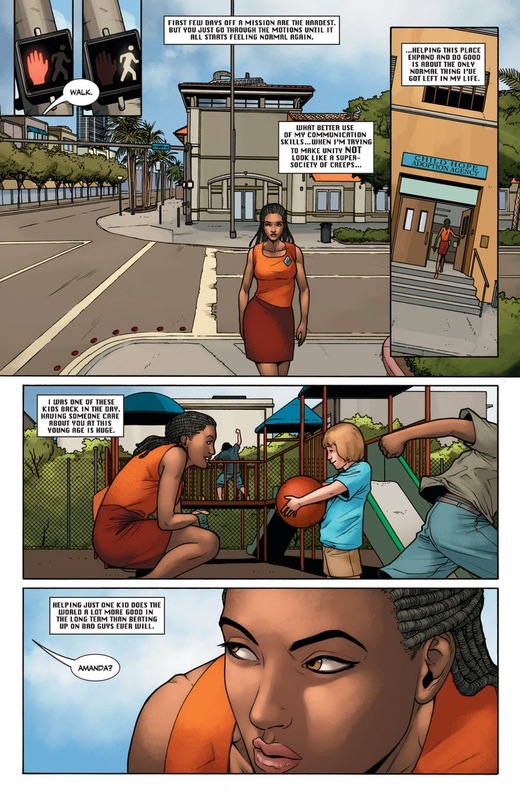 “HOMEFRONT” reaches critical mass as Livewire takes on a deadly solo mission for the future of Unity! 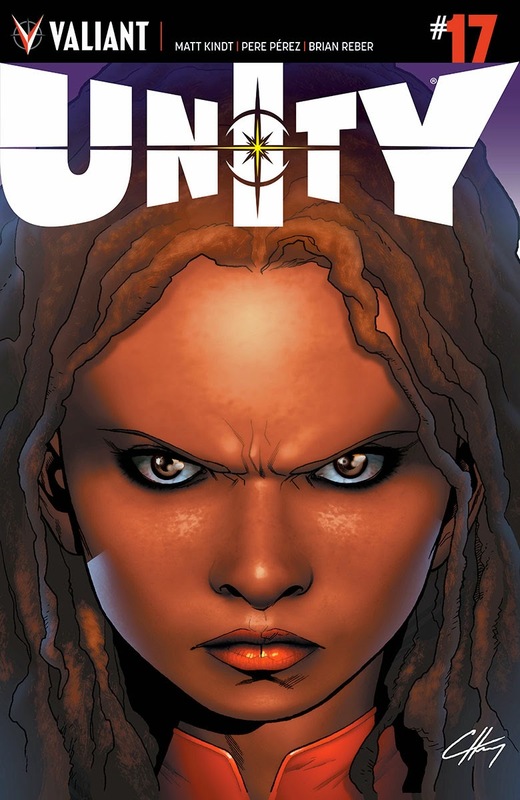 Facing the most challenging battle of their lives, Unity struggles to hang on. 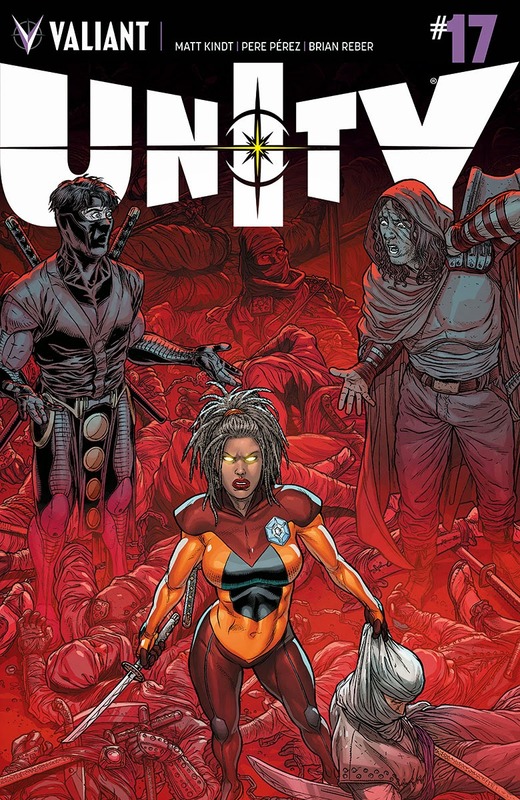 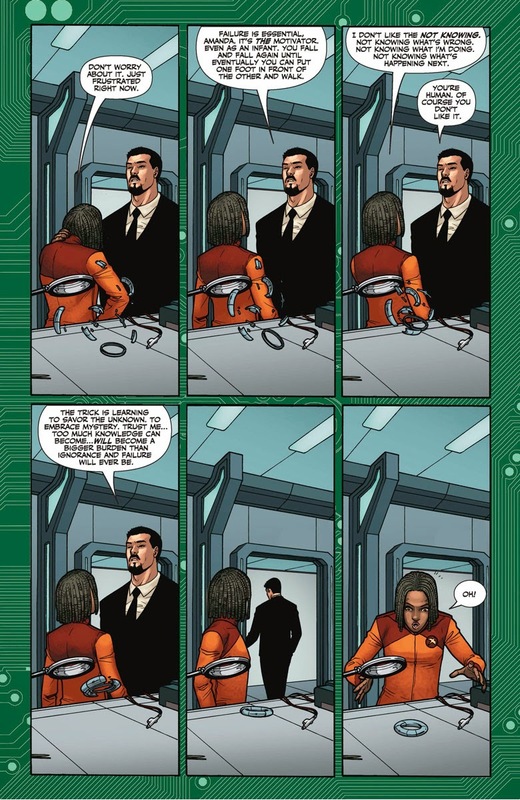 Livewire, de facto leader of the team, can barely keep her life together…how can she corral a group of lethal warriors? 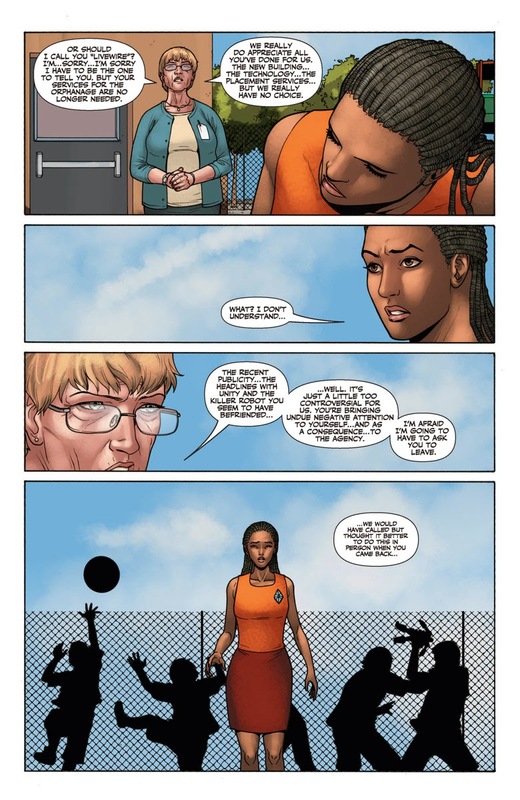 And if she fails…what price will the world pay?